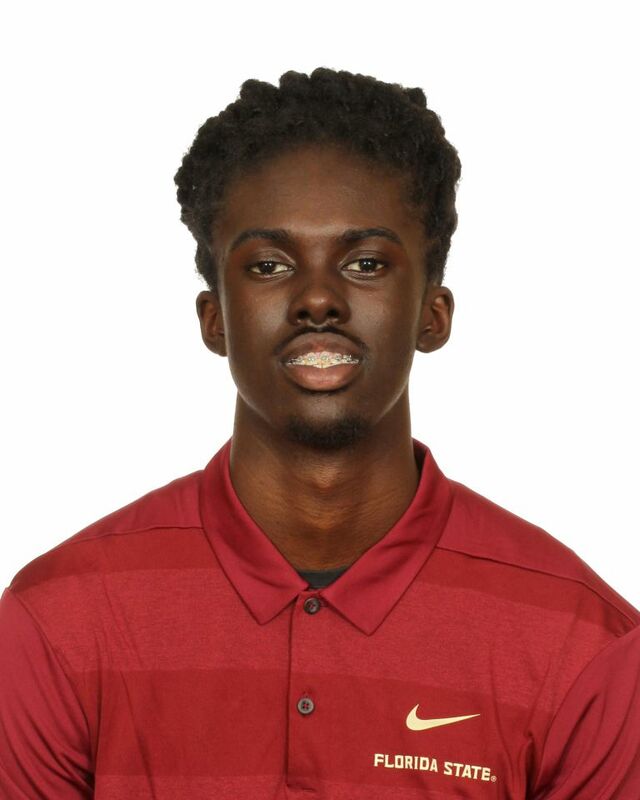 Second-year Seminole whose focus is the 400-meter dash…will be in the mix for what should be a NCAA Championship qualifying-level 4×400 relay…contributed a scoring 400-meter leg to the DMR at the ACC Indoor Championships…missed the 400-meter final at ACC Outdoor Championships by one position. Indoor: Competed in three indoor meets, opening up with an indoor 400m PB of 47.46 at the Tyson Invitational and also contributing to an indoor SB 4×400…ran the DMR at the Alex Wilson Invitational (400 leg)…helped put the eventual team champion Noles on the board at the ACC Indoor Championships with a leg on FSU’s eight-place DMR…time of 9:46.05 is No. 6 on FSU’s all-time list. Outdoor: Saw action in four meets, including the ACC Championships…ran 400 PB of 47.43 in prelims which was ninth-fastest; one spot out of place final…Also ran on season-best 4×400…ran 400 at FSU Relays, Tiger Track Classic and National Relay Championships in preparation for ACC meet. Brings a championship pedigree to Florida State after contributing to Hallandale’s 2A state championship teams in 2017 and 2015…competed in the open 400 and also on the 4×400 relay…owns a 400m personal-best of 48.23…won the 400 at the 2017 LSU Indoor High School Classic in Baton Rouge, La….outstanding student who was a member of the National Honor Society and president of the Peer Mentoring Group…selected 2017 Scholar-Athlete by the Broward County Athletic Association (BCAA)…plans to major in chemical engineering…the son of Trina and Calvin Golson, Sr…born May 29, 1999.